Community Board 3 last night elected Richard Flateau as their new chair replacing Tremaine Wright, who was recently elected to the State Assembly and will take office next month. 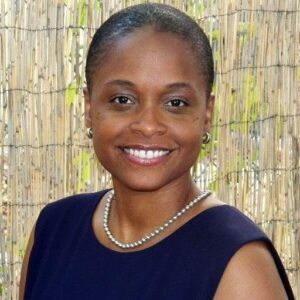 Flateau is the owner of Flateau Realty Corp., which has been operating since 2007 and provides commercial and residential real estate options in the Bed-Stuy and central Brooklyn areas. He graduated from Harvard University with a degree in economics and then attended New York University’s Stern School of Business where he earned a Master’s in Business Administration. Flateau is a native of Bed-Suy and most recently served as the economic development chair for the board. Wright, who is replacing retiring Assemblywoman Annette Robinson, thanked the community board for the opportunity to serve as its’ chair. “I know they [CB3] will continue to do good work and I am excited to go forward and work for them in Albany,” she said. The board elections were reserved for the end of the night in which the 37 present members each voted for their candidate. The two candidates running for chair were Flateau and Kimberly Hill. After taking some time to tally the votes, Flateau was elected as the new chair starting in 2017. Other positions voted upon last night were also 1st Vice Chairperson, 2nd Vice Chairperson, Treasurer, Executive Secretary which were won by and Oma Holloway, Nelson Stop, Cynthia Doris Pinn, Stacey Ruffin, respectively. Other items on the agenda at the meeting were the application by Riverside Developers USA Inc., in regards to the rezoning of property at Flushing Ave and Franklin Avenue from a manufacturing to a residential property. The application was denied by the board by a tally of 17 Nays, 18 Yes and 2 Abstentions. The controversial housing project became one of the stronger items on the agenda for the night with many community leaders and members feeling that the housing project will exclude the neighborhood it is trying to serve with it’s affordable housing requirements. “Regarding our votes tonight, I think it’s a reflection of our community. 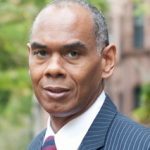 Every community board voted against the MIH plan [Mandatory Inclusionary Housing Plan] when it was first proposed and I think that the discomfort and discontent amongst our community members as well as our board members that came under those guidelines was reflected in the vote today,” said Wright. The MIH plan, according to the New York City Council, is a tool used by the Department of City Planning and Housing Preservation and Development that requires developers to include affordable housing in areas that are rezoned to allow for more housing development. The goal of this plan is to create more affordable housing in new housing development so that local community members aren’t being displaced or out-priced by incoming residents.